Rated 5 out of 5 by SFloverclains from My second bottle of the new formula This product really works and brings you the result you are expecting. I've been using this product for over 10 years. It didn't show much results when I was in my twenties but now it definitely does when I'm thirties. My wrist is firm and no sagging. I workout at the same time. I use am & pm and a bottle lasts for 2-3 months. Rated 5 out of 5 by Marty from I used cream and it was amazing. I highly recommend it and ordering my 2nd tube today. Rated 4 out of 5 by Eppie from Lovely scent Feels great after massaging in target areas. Slow acting in my opinion, but getting some results after a few months. Rated 5 out of 5 by FloridaGirl from This works I use this once a day, in the morning vs. twice a day as recommended on the bottle, and I still think it works well for fluid retention in the stomach area. This is one of a few products that I have seen for this type of issue and now I don't miss a day because it does make a difference. Rated 5 out of 5 by MissMouse from Wow! I am a mother of two... Huge...babies that ruined the skin on my midriff. I do pretty well staying healthy but nothing was helping the deep stretch marks and loose skin. A friend suggested I try this, and what a great friend she is! In about a week I have noticed the deep stretch marks improving and the looseness of my stomach isn't as bad. I wasn't looking for a miracle, but what I have found is belief in a product and a little more confidence and self love. When I look in the mirror I definitely prefer what I seeing now. Thanks Clarins, you have a customer for life! Rated 5 out of 5 by ChrissyBee from Clarins products - EXCELLENT all round. 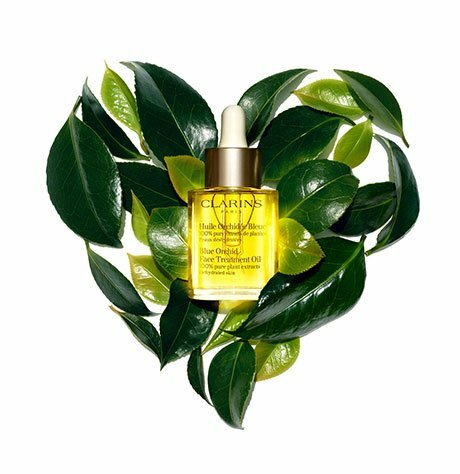 I buy too much Clarins to do individual product reviews, but in my over 35 years of buying their skincare products I can say that I am thrilled that I stumbled across the product as a younger person. My skin is totally excellent for my age (67) and it's thanks to Clarins. I have never been disappointed with any of the products, body or face. The fragrance of the body products is also light and sophisticated and very pleasant. Thank you Dr. Clarins. Rated 5 out of 5 by Nadia from Awesome This product is amazing. I am not fifty but I gave birth to my daughter and the skin from my abdomen became loose and flabby. Even though I lost all of the baby fat, and worked out daily, plus a ton of abdominal exercises, I could not get rid of the flabby skin. After trying this product and continuing to eat healthy and exercising the flabby and loose skin around my abdomen and waste are gone. Seriously, now you can see my abs, and they look good. Yey!!!! Rated 5 out of 5 by Charly from Perfect I'm in love with this product, skin is so soft and silky!